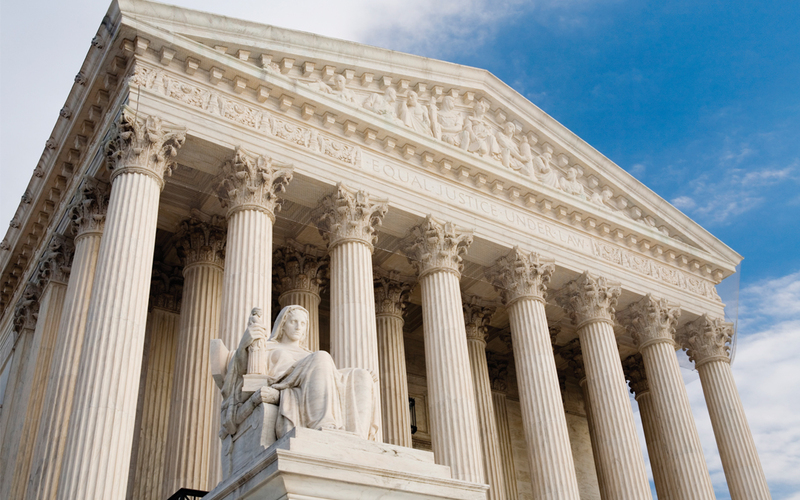 ARTBA is supporting an Illinois contracting firm’s petition for an appeal to the U.S. Supreme Court through a “friend of the court” brief. At issue in the case of Dunnet Bay Construction Company v. Randall S. Blankenhorn is whether transportation construction contractors have the right to challenge state agencies that they believe have misapplied federal regulations. The case has been making its way through lower courts since 2010. Dunnet Bay had the low bid on a contract relating to the reconstruction of Chicago’s Eisenhower Expressway, a federal-aid project. The Illinois Department of Transportation (IDOT) rejected the bid for failing to meet the Disadvantaged Business Enterprise (DBE) program participation goal on the project. IDOT ultimately rebid the contract and awarded it to another contractor. Subsequently, Dunnet Bay filed suit against IDOT in federal court for the Central District of Illinois. Among other points, the firm alleged IDOT had a “no waiver policy” for its DBE program, contrary to federal law, and therefore gave no meaningful consideration to Dunnet Bay’s documentation of its good faith effort to meet the project’s DBE goal. Dunnet Bay also questioned the methodology of IDOT’s DBE goal-setting for this high-profile project, which carried political overtones because the incumbent governor at the time was facing a strong challenge in the upcoming Democratic primary. In siding with IDOT, a federal district court and later the 7th U.S. Circuit Court of Appeals ruled that a prime contractor on a federal-aid highway project does not have a cause of action if a state agency appears to have followed federal regulations, such as those for the Disadvantage Business Enterprise (DBE) program, even though the agency may have broad discretion in doing so. In its Feb. 16 amicus brief to the Supreme Court, ARTBA stressed that, if allowed to stand, the appeals court holding would severely curtail review of state transportation agencies’ implementation of federal regulations, opening the door for egregious interpretations outside the bounds of the U.S. Constitution. “[W]hen administrative decision makers understand that meaningful judicial review is unlikely, they face no such constraints, and the risk that they will act for impermissible reasons is heightened accordingly,” ARTBA argues. There is no set timeline for the Supreme Court to decide whether or not it will hear the Dunnet Bay case. Read the full text of ARTBA’s brief.